Grape jewelry! 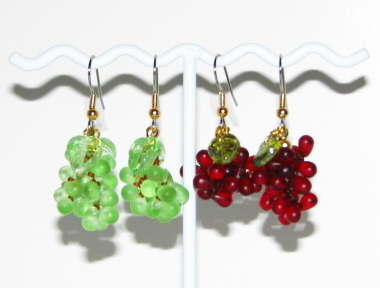 Handwoven clusters of glass green or red wine "grapes" and glass leaves on surgical steel/gold plated earrings, signed on gold filled "Julia Bristow" tag. As seen in ElleUK Magazine!